If Joan Jett had daughters raised on the buzzsaw guitar sounds of Johnny Ramone… you would have The Venomous Pinks. 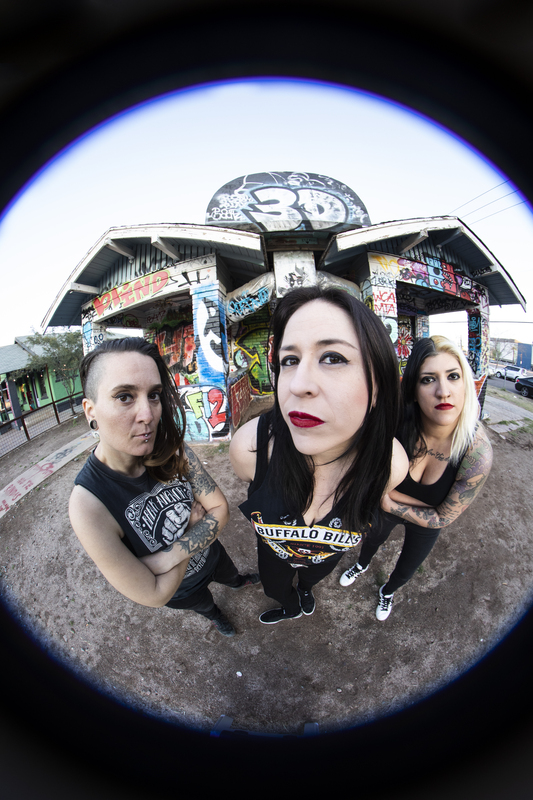 The Arizona based, female trio are the real deal with the street cred to prove it. Having formed in 2012, the ladies have blasted their way from the garage and into the spotlight, sharing the stage with some of punk rocks finest bands, such as: Bad Religion, Iggy Pop, Anti-Flag, The Bouncing Souls, just to name a few. Along with playing out constantly, the ladies have found time to hit the studio and have 4 E.p.’s under their belts as well as having their music appear on film and in compilations. 2019 proves to be a busy year for The Pinks as they will be touring extensively and getting back into the studio. Bands we’ve opened for: Bad Religion, Iggy Pop, Agnostic Front, The Bouncing Souls, TSOL, OFF!, The Interrupters, Agent Orange, Johnny Rotten’s PiL, Anti-Flag, The Adicts, Swingin Utters, Teenage Bottlerocket, BadCop/BadCop The Queers, Authority Zero, The Lawrence Arms, Naked Aggression, The Weirdos, Guttermouth, The Copyrights, The Stitches and many more.